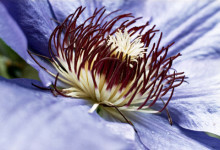 Fascinating research shows passion flower benefits for anxiety and insomnia compare favorably to powerful drugs like benzodiazepines and Ambien. And, the benefits come without daytime drowsiness and other side effects. It’s important to realize that anxiety isn’t “all in your head.” That is, people who suffer from anxiety aren’t simply choosing to avoid certain situations or activities because they have convinced themselves they’ll be unpleasant. So… what does anxiety mean and what does anxiety feel like?